The Foglight on your vehicle a safety feature on your vehicle. It’s against the law to drive with your fog lights on when it is not foggy. Is it round or square?. Is the foglight a part of my headlight??. The Foglight on your vehicle a safety feature on your vehicle. It’s against the law to drive with your fog lights on when it is not foggy. We pride ourselves in being the Car Parts Experts, with our team collectively having over 250 years of experience in the automotive sector, and our passion for all things automotive has helped us build a product range to suit every possible need you will have for your car. The Rallye 3000 features a reinforced ABS housing and bonded watertight assembly for added durability.". 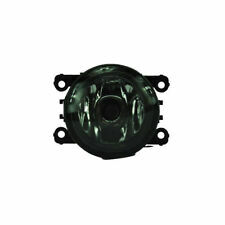 HELLA PART NUMBER :- 1F8 006 800-191. Trucks Mascott 2004 to 2010. Fog Light Lamp. Right Side. With Bulb and Bulb Holder. 35500-63J02, 9270157, 93189278, 93193892. 4416799, 4709052, 6710027, 3550063J02. Replaceable : H3 24V 55W Halogen Bulbs. Driving (Spread) Beam Patterns Avalable. Crystal Clear Glass lens. High Impact Plastic Housing. Wir empfehlen Ihnen den Einbau der erworbenen Autoteile von einer Fachwerkstatt dürchführen zu lassen. Für Folgeschäden jeglicher Art, insbesondere bei einem fehlerhaftem Einbau bzw. Einbauseite beidseitig. 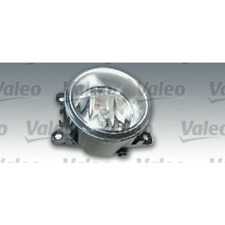 Renault Scenic Twingo Fluence delanteros LED niebla luces lámparas par cableado OEM. Renault Twingo 207-2014. Renault Scenic 2003-2009. Reanult Scenic 2009-2016. Conjunto de faros antiniebla delanteros de los vehículos siguientes. Model year from: 09/2006; Doors: 5. Model year from: 11/2012; Doors: 3/5. Model year from: 10/2005; Doors: 5. FORD FIESTA VI (CB1, CCN) 1.0 Hatchback Petrol 10/2012 on FWD 12 80 59. Model year from: 10/2005; Model year to: 04/2010; Doors: 5. OSRAM LEDFOG102 LEDriving FOG. Luz de niebla. Luz de niebla LED con funcionalidad de luz diurna. Solución Lightguide con tecnología LED de alta calidad. Tecnología de guía de luz LED. Luz homogénea, sin puntos de luz. 1.6 Flexifuel YUDA 07/2013 - In prod. 1596 cc 150 110. 1.6 Flexifuel MUDA 04/2011 - In prod. 1596 cc 120 88. 1.6 Ti MUDA 02/2012 - In prod. 1.6 Ti XTDA 08/2011 - In prod. 1596 cc 85 63. 1.6 IQDB 04/2011 - In prod. Luz de niebla delantera de Renault Twingo Fluence Latitude Koleos cabe izquierda Valeo derecha. Renault Koleos 2010-2016. Faros antiniebla. Renault Twingo 207-2014. luz antiniebla delanteros de los vehículos siguientes. Model year from: 09/2005; Model year to: 08/2012; Doors: 3. FORD FIESTA VI (CB1, CCN) 1.0 Hatchback Petrol 01/2013 on FWD 12 65 48. Model year from: 10/2005; Doors: 5. Model year from: 11/2012; Doors: 3/5. Model year from: 09/2005; Model year to: 08/2012; Doors: 3. Model year from: 12/2009; Model year to: 08/2010; Doors: 5. Model year from: 11/2012; Doors: 3/5. RENAULT LAGUNA II (BG0/1_) 1.8 16V (BG06, BG0J, BG0M) Hatchback Petrol 03/2001 12/2007 FWD 16 116 85. Inhalt 1x Nebelscheinwerfer. DT 6.84106. Qualitätsprodukt - Markenware in Erstausrüsterqualität. Heater Motors. Fan Couplings & Magnets. Belt Tensioner Wheels & Bkts. Suspension Ball Joints. Rear Lights. Lens Colour: White. Front Exhausts Cats. Fitting Position (Vehicle Specific). Produkttyp: Nebelscheinwerfer. Nebelscheinwerfer Citr/Ford/Peug/Ren C2/C4/C5/ Fusion/ Grande Scenic/. Lichtscheibenfarbe: Weiß. Produktgruppe: Beleuchtung. ca. 12.000 Fahrzeugmodelle. dienen nur zu Vergleichszwecken und sind keine Herkunftsbezeichnungen. DT 6.84106. Qualitätsprodukt - Markenware in Erstausrüsterqualität. 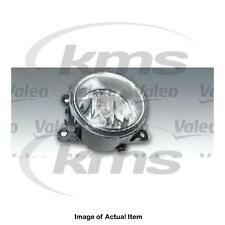 088358 antiniebla VALEO para FORD VAUXHALL OPEL RENAULT DACIA JAGUAR NISSAN SUZUKI. Manufacturer Part Number 088358. Valeo ofrece una amplia gama de sistemas de conducción y de asistencia de estacionamiento avanzadas. $ Un par de anillo de calidad nuevo estilo automotriz lámparas de Spot Reino Unido, diseñado y fabricado en el Reino Unido para montaje por encima o por debajo del parachoques, completa con lámparas halógenas de 2 x 12 voltios H3 de 55 Watts 'E' aprobado potente. Perfecto para las noches de invierno, hecho de alto impacto alta calidad ABS tan no aherrumbrará---completamente aprobado 'E'---2 x 6" lugar redondo antiniebla---2 x 12V 55W H3 'E' aprobado potentes lámparas halógenas (amueblada)---H160 x W160 x D70mm---básica los soportes de montaje e instrucciones de También disponemos de estos con una lente de conducción y también en un estilo del rectángulo. Un kit de cables también puede ser llevado por separado. Renault B.
Heater Motors. Fan Couplings & Magnets. Belt Tensioner Wheels & Bkts. Suspension Ball Joints. Rear Lights. Lens Colour: White. Front Exhausts Cats. Fitting Position: Left.